This small house, called House Unimog, is the result of a collaboration by Wezel Architektur’s and Fabian Evers Architecture. The two studios combined their technical know-how and creativity to develop this simple, but beautiful and efficient home in Germany. The unusual house is sited next to a heavily trafficked road in Tübingen, its surrounded by a mixture of multi-story residential and agricultural buildings. The design consists of two main volumes; the ground floor acts as a spacious garage to house the owners large Mercedes Unimog truck, and the upper level of the home is dedicated to the living quarters. House Unimog was designed and built on a “very tight” budget, 175,000 Euros ($238,190). To save money they created a home that’s structurally efficient, doubling up on structural materials to act as interior finishes (OSB). The overall aesthetic is adopted from the surrounding farmhouses with it’s own contemporary interpretation. To minimise the buildings footprint (and costs) the two main functional spaces were stacked on top of one another. The elevated living spaces allowed the architects to take advantage of the views; they were able to orient window openings away from the busy street and focus them on the landscape. Unlike the living quarters above, the garage doesn’t have any windows. Instead it’s clad with translucent polycarbonate sheeting which creates a very bright interior, without any outward views at the street level. The two types of cladding on the upper and lower levels are also in complete contrast with each other – one is verging on white, the other on black. The side of House Unimog that faces away from the road features a staircase that leads up to a loggia. The loggia offers panorama views of the Germany landscape. The glass patio doors open up to an open plan living room, kitchen and dining space. You’ll also find a bedroom and bathroom, all of which are finished in OSB. The windows openings have been positioned so as to take advantage of the neighbourhood. Instead of building large, gantry-style 3D printing machines, one of the solutions to the problem of scale in 3D printing has been to free printers from their boxes and build large 3D printing robotic arms. Doing so has allowed designer Joris Laarman to 3D print his big metal Dragon Bench, along with other pieces of furniture. 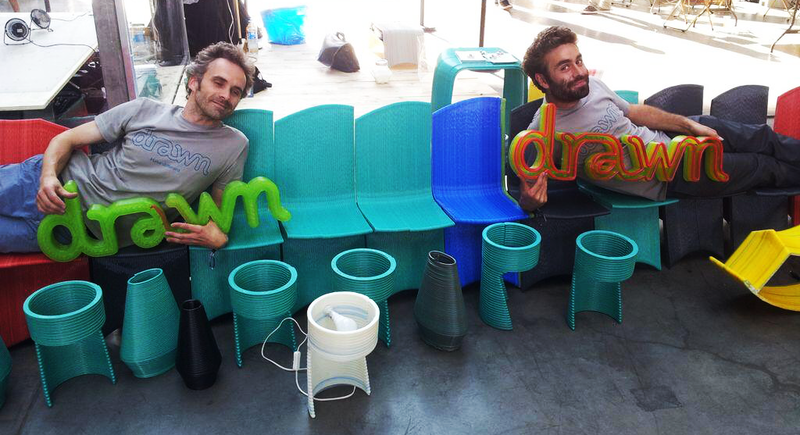 Now, French company Drawn has taken this idea and run with it, building their own robotic arm to 3D print large pieces of furniture. 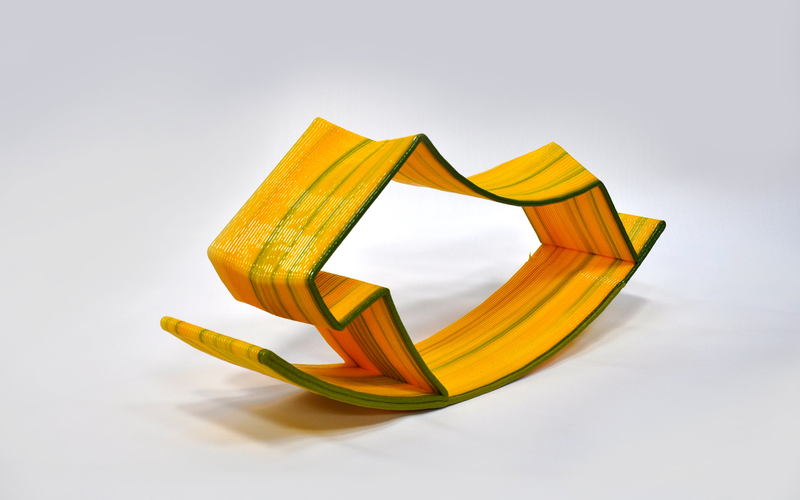 Founded by Sylvain Charpiot and Samuel Javelle, Drawn uses their giant robot arm, named Galatea, to extrude plastic into singularly beautiful pieces of furniture. 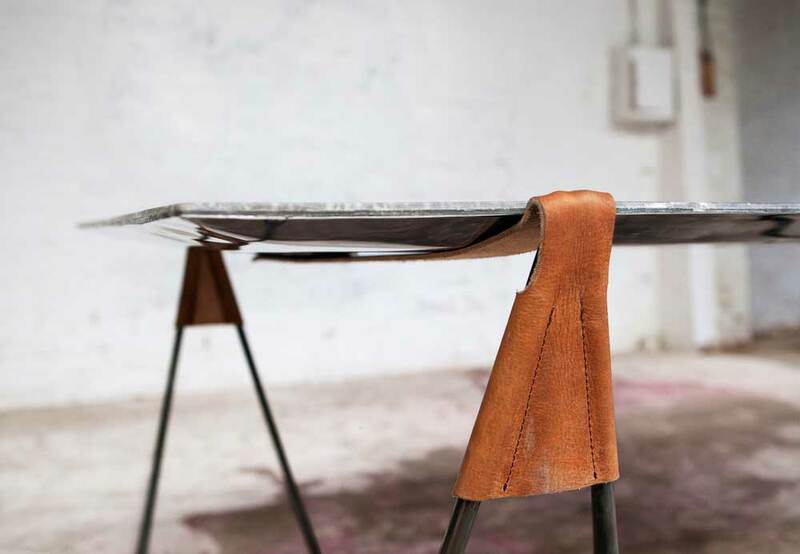 After the two met at a campus FabLab project in Lyon, they became united by a common goal of creating local-made, custom-built furniture. With enough investment, Charpiot and Javelle were able to build Galatea. While they intend to release their own line of furniture, the duo also plans to allow other designers to use Galatea to 3D print custom designs. Until then, they’ve been showing off Galatea and its creations at events like Maker Faire Paris. As you can tell from looking at photos of their furniture, the streams of 3D printed material works to the duo’s advantage by giving each piece a trademark ribbed effect. At the same time, the designs of the furniture themselves are unique, fun, and colorful. "The idea of a house is changing, more than that, our ideas of structures and shapes are changing and those ripple effects are causing billionaires to spend money on homes like this. ‘The Spiked Sundial’ is an ultra-modern home clad in bronze and made out of ingenuity. Designed by architect Daniel Libeskind to be an ever-changing landscape, its shape seems to transform with every new angle. Among the open layout, large glass walls, and geometric blueprint, the house almost feels exposed to the elements as if it was one with them. Although the house doesn’t actually function as a sundial it would surly be the envy of all your rich friends… until one of them buys another yacht." 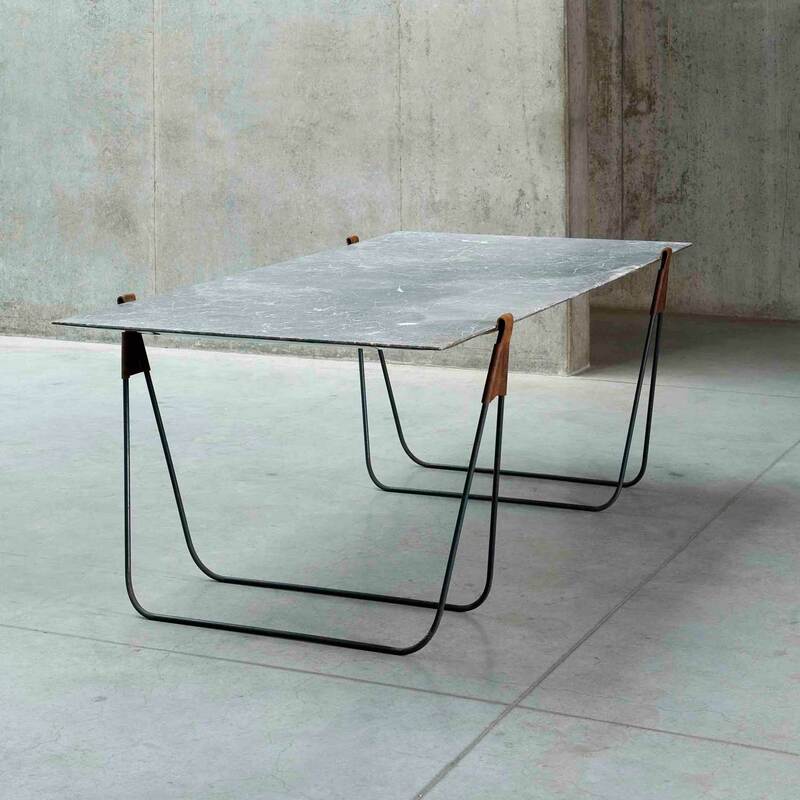 "The man behind this super beautiful product is a young Belgian designer Ben Storms. Stroms is obsessed with bending the rules between forms, techniques and materials. I like him already. 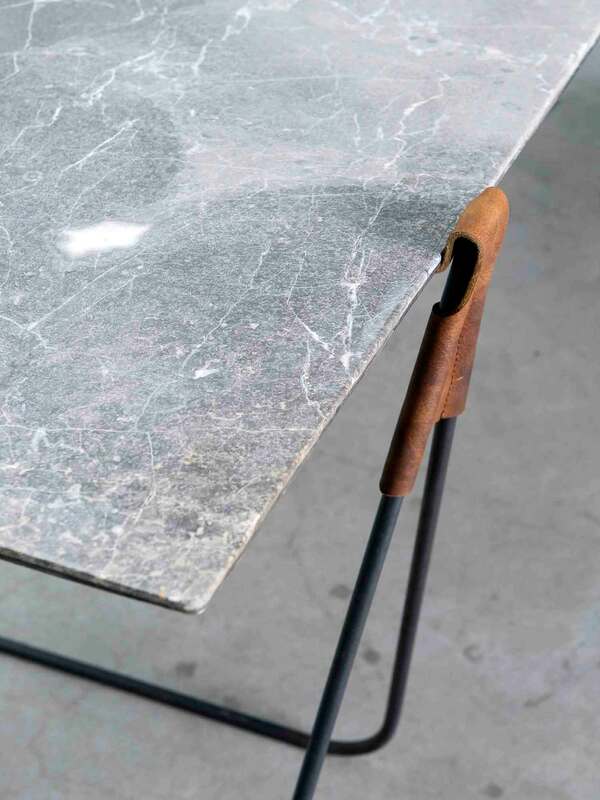 Titled ‘In Vein’, this marble trestle table looks just as affective as a mirror when leaned up against the wall. Too clever. The table represents simplicity, mobility and efficiency, while adding a layer of delicate luxury and vanity. Crazy beautiful. 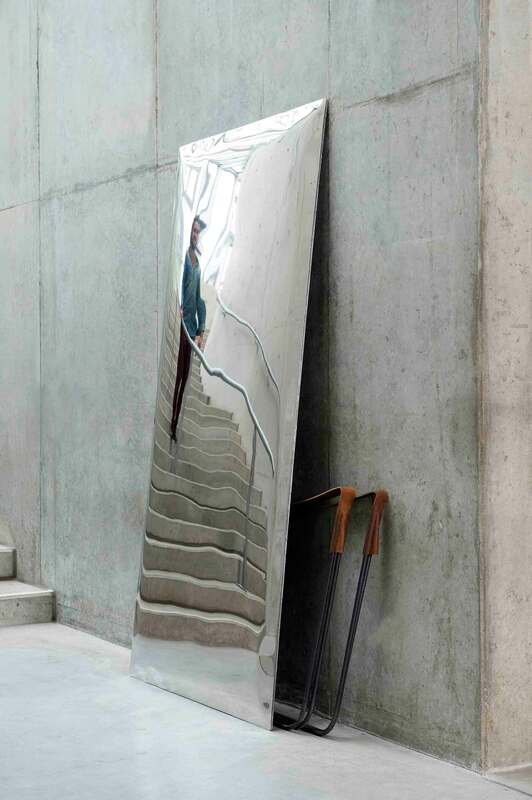 The question is, would you use it as a table or a mirror? I’m thinking I need two so I can do both. As long as the mirror makes me looks skinny, of course." 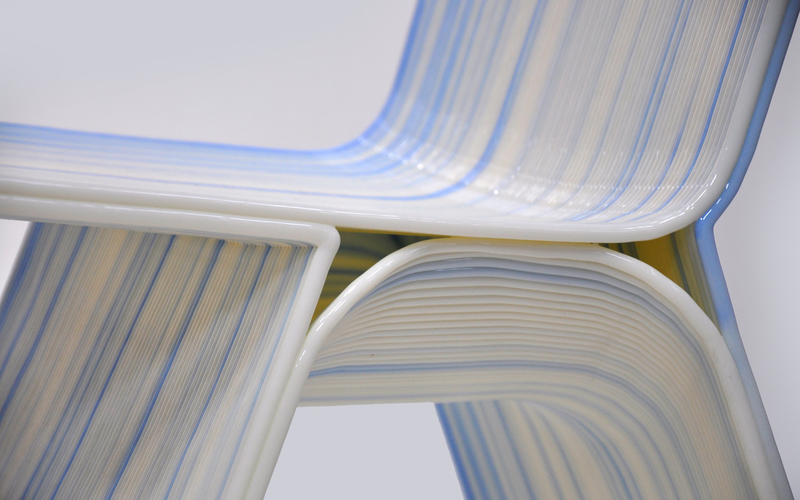 The Liquid Glacial Table by Zaha Hadid is one stunning piece of furniture. The table design embeds surface complexity and refraction within a powerful fluid dynamic. The elementary geometry of the flat table top appears transformed from static to fluid by the subtle waves and ripples evident below the surface, while the table’s legs seem to pour from the horizontal in a vortex of frozen water. The table top appears transformed from static to fluid by the subtle waves and ripples evident below the surface, while the table’s legs seem to pour from the horizontal in an intense vortex. The Liquid Glacial table consists of two smaller tables which are combined into an eye catching large dining table. This unique piece of art is cast in clear and coloured acrylic, which appears as if it was frozen in time while transitioning between the different states of water, liquid (water) to solid (ice). Its design embeds surface complexity and refraction within a powerful fluid dynamic.